How do I get the height of my fields to display properly on the mobile? My form doesn't display properly on mobile devices. Some of the fields are normal height, others are very small. It looks fine on the computer, how do I get it to look good on all the mobile devices as well? 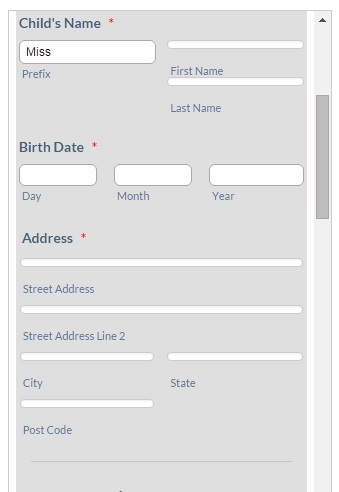 I cloned your form and made the same changes I mentioned, here's how it looks like: http://form.jotformpro.com/form/52388980134967? You're welcome, Helen. Glad to hear that it worked.